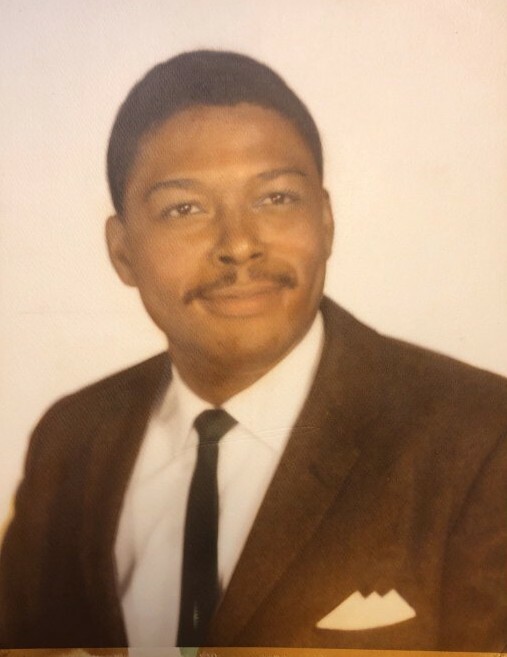 Mr. Semon V. Monroe, of 272 Old Plantation Trail NW, Milledgeville, Georgia passed away on Tuesday, February 12, 2019 at Navicent Health Macon, Georgia. Memorial services was held on Saturday, February 23, 2019 at 11:00 AM from the Trinity CME Church, 321 N Wilkinson Street, Milledgeville, Georgia. Semon Vaughn Monroe, son of the late Cassie Giddens Monroe and the late Walter Monroe, was born June 29, 1933 in Quitman, Georgia. Semon joined Bethel AME Church in Quitman, Georgia at an early age. He was educated in the public schools of Brooks County. Semon earned a Bachelor of Science Degree in Trades and Industries from Savannah State College in 1953. After graduating from Savannah State College, eh secured a teaching position in Industrial Arts at Carver High School. While teaching at Carver, he met Annie Thelma Lucky, who later became his wife, and from that union two children were born: Angela and Michael. Later a new high school, J.F. Boddie High School was built where he continued to teach Industrial Arts. After Semon married, he joined his wife’s church, Trinity CME Church. He grew to become a very active member and served in various capacities including Sunday School Superintendent, Steward, and Treasurer. In addition, he offered his unwavering support to assist in fund-raising activities for the Church. In 1954 Semon was drafted by the United States Army. He served two years. After returning from the service, he reentered his educational profession at J.F. Boddie High School. Semon continued his insatiable thirst for knowledge. He earned his Master of Education in Industrial Arts Education from Penn State University in 1969. Next, Semon became certified to instruct electrical construction in 1975. Then, in 1978 Semon completed the requirements for the role of vocational supervisor in development and operations programs for the handicapped. Finally, in 1981, Semon earned two specialist degrees: one in education from Georgia State University and the other in education leadership from the University of Georgia. These advanced degrees enhanced his leadership positions as an assistant principal, principal, director of Baldwin County’s vocational school, and assistant superintendent of Baldwin County Schools. Semon devoted most of his spare time to community services. He was active in several civic and professional organizations. His services were rewarded. He was the recipient of numerous awards and honors from a number of organizations. They included the Optimist Club, the Kiwanis Club, and various high school classes. In addition, he was awarded the 50 year membership award by the Grand Chapter of Kappa Alpha Psi Fraternity Inc. He was recognized as having exhibited 50 years of exemplary service and dedication with his having been initiated at Gamma Chi Chapter. This award was presented with the premise of absolute and convincing testament of his support and devotion of the ideas, principles, and precepts of Kappa Alpha Psi. On Tuesday, February 12, 2019, Semon was welcomed home by our Lord and Savior, Jesus Christ. Semon was preceded in death by his parents, brothers, aunts, and uncles. He is survived by his wife, Mrs. Annie Lucky Monroe, Milledgeville, GA; two children, Angela Monroe Mendoza, Milledgeville, GA and Michael V. Monroe (Alanna), Seattle, WA; grandchildren, Victor M. Mendoza, Milledgeville, GA, Yazmine Monroe, Milledgeville, GA, and Khalil Coyote-Monroe, Seattle, WA; one sister, Effie Lee Monroe Daniels, Americus, GA; brother in law, Clark D. Lucky, Evans GA; nephews and nieces, Torrance Monroe, Marietta, GA, Vanessa Daniels Furlow, Americus, GA, Cynthia Daniels Hackett, Fredericksburg, VA, Dennis Monroe, Quitman, GA, Denise Monroe, Quitman, GA, Kelsie Daniels III (Regina), Atlanta, GA, Lauana Lucky, Jacksonville, FL, Micah Lucky (Katrina), Fort Mills, SC, Evita Johnson Willis (Chris), Milledgeville, GAand Curtis Lucky (Bonita), Minneapolis, MN, Trenissia Allison, Milledgeville, GA; great nephews and nieces, Larry Furlow Jr., Kelvin Furlow, and Cassie Furlow, Wilbur Hackett III (Melanie), Walter Hackett (Himot), William Hackett, Kelsie Daniels IV, and Nakia Daniels; several other relatives and friends. In lieu of flowers, please make contributions to the American Heart Association, Macon, Georgia.